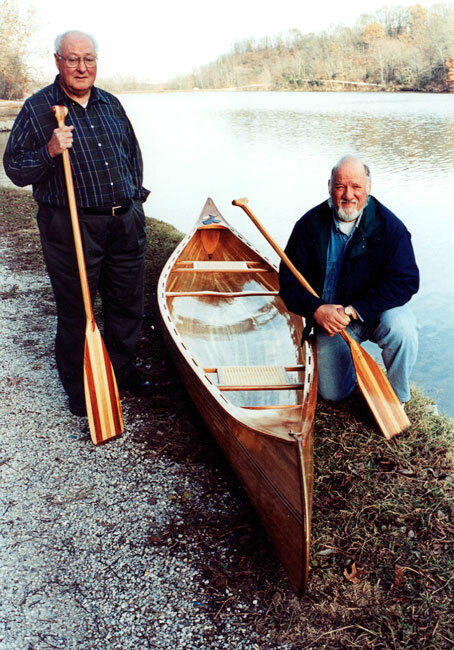 Woodrow Smith (standing) and Robert McDonnell (kneeling) built this Redbird design canoe, 17'9" long. They built her from scratch, starting with rough-cut lumber. They are proud of their work, as the canoe turned out to be a work of art.